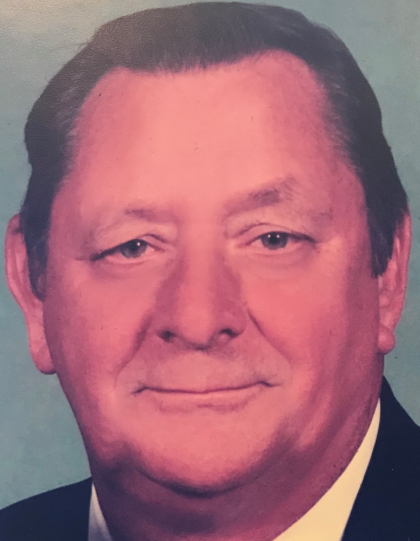 Darrell Ray Barrow, 76, of Corydon, died Thursday, September 6, 2018, at Baptist Health Louisville. He was born February 24, 1942, in Harrison County, Indiana, to the late Elmer K. and Viola Duggins Barrow. He was a self employed business man, was a member of Christ Community Church of the Nazarene in New Albany, and was a veteran of the U.S. Army National Guard. He was preceded in death by his parents; and his sisters, Ardis Conrad, Bonnie Barrow, and Barbara Steiner. Survivors include his wife, Lauradell Brengman Barrow; his daughters, Kim Beard (Roger) and Kathy Carnley (Victor) both of Corydon; his sons, Kevin Barrow (Donna) of Corydon and Kent Barrow (Cathy) of New Salisbury, Indiana; his sister, Vivian Craig of Corydon; 11 grandchildren; and 6 great grandchildren. Funeral services will be at 11:00 a.m. Tuesday, September 11, 2018, at Community of Hope Church of the Nazarene in Corydon. Rev. Dan McDowell and Dr. Garry Pate will officiate. Burial will be in Pennington Chapel Cemetery near Corydon. Visitation will be from 10:00 a.m. – 8:00 p.m. Monday at Beanblossom-Cesar Funeral Home in Corydon and after 9:00 a.m. Tuesday at the church. The family requests that expressions of sympathy be made to the American Diabetes Association or the American Heart Association.